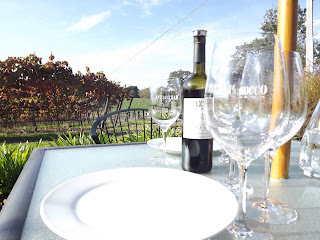 It was a full day around Sonoma with Tracy from Wine Road Northern Sonoma, as I made first time visits to some of the area’s great finds. Our first stop was at Timber Crest Farms, which is now the home of a collection of tasting ro. 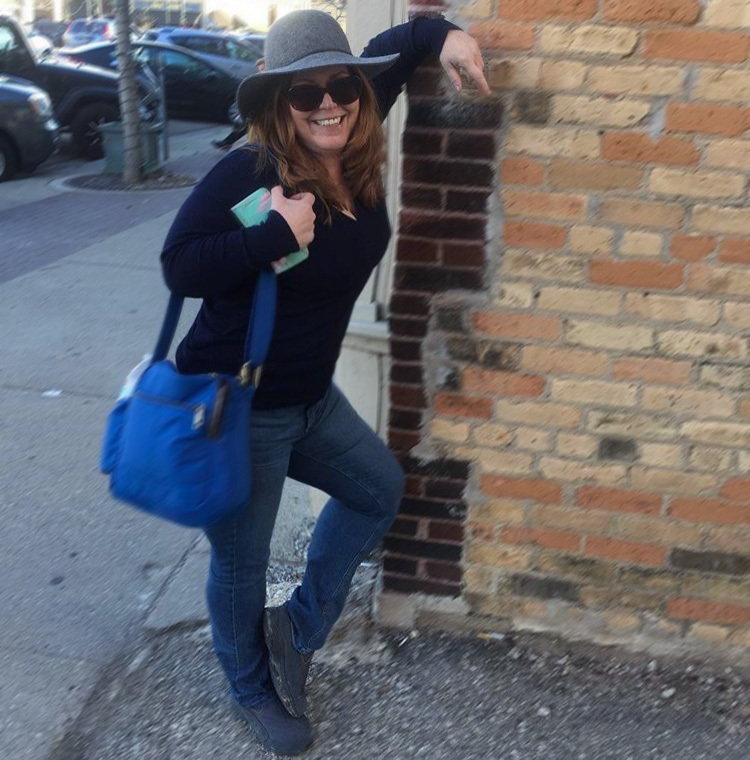 It’s a great idea, putting together a selection of wineries you can check out in one place (and they even have a food truck if you get hungry in the middle). 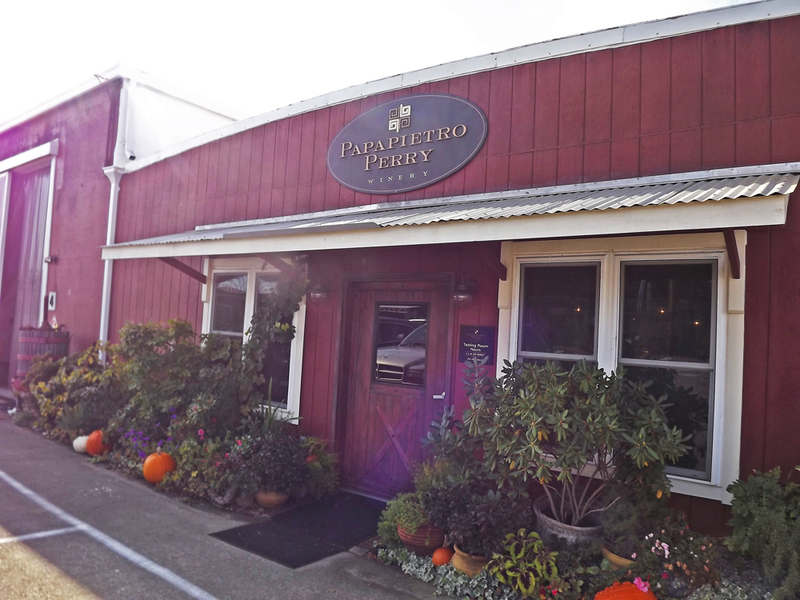 We started the tasting at Papapietro Perry, which has some of Tracy’s favorite Pinot Noirs that have also garnered critical acclaim. Though it’s not one of my top varieties, I was impressed with the 2008 Elsbree Vineyards Pinot Noir, a complex mixture of pepper and fruit. It's no wonder this winery, owned by two couples, has come so far. Originally started out of a garage, they now produce 8,000 cases a year from small lots of single vineyards. 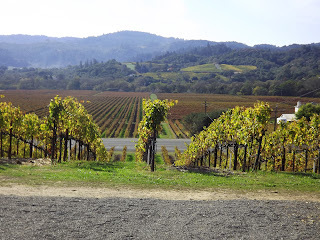 They have made a name for themselves with their consistently acclaimed Pinots. 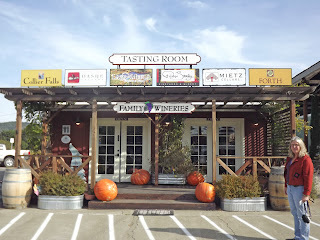 Next we made a stop at Family Wineries of Dry Creek. 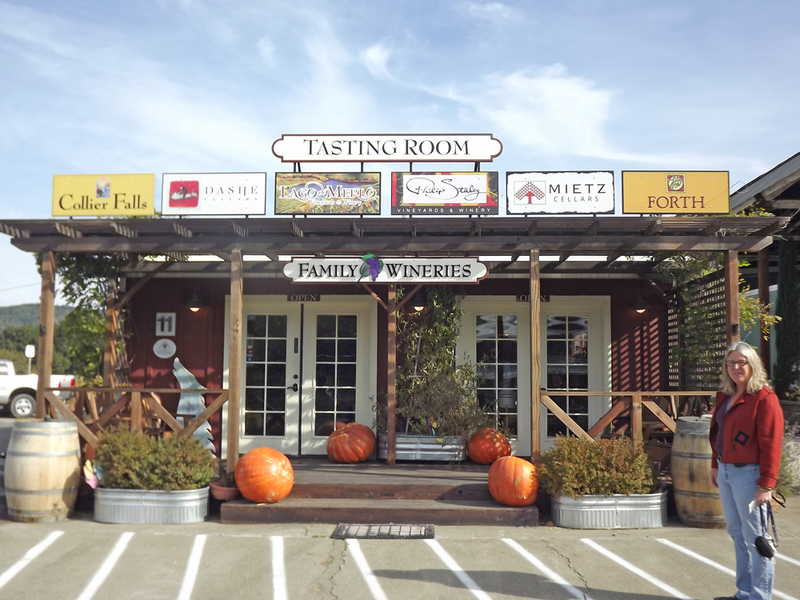 This is a combination store and tasting room, filled with food, kitchen and décor items from all around Sonoma. 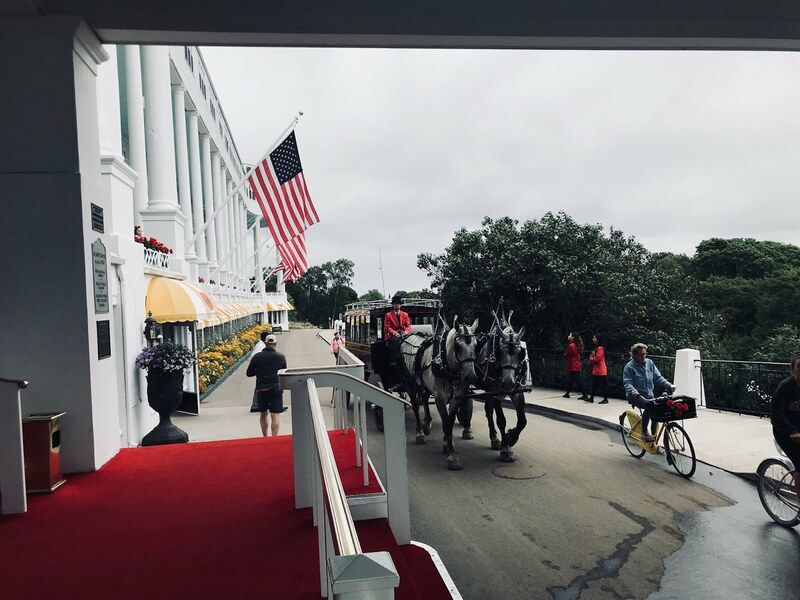 They sample wine from six different family wineries here and you can choose your flights based on the type of wines you like. I picked the light whites and found two standouts: 2009 Ca’Bella Moscato from Lago di Merlo Vineyards, sweet & fruity with lots of peach, pear and apricot; and 2008 Dashe Cellars Late Harvest Zinfandel, an interesting mix of ripe red fruit that was more flavorful than sweet. I really enjoyed my stop at Kokomo Winery, not just because of their fascinating selection of wine, but for the Midwest ties. Kokomo is actually a reference to the Indiana city that Erik Miller grew up in. 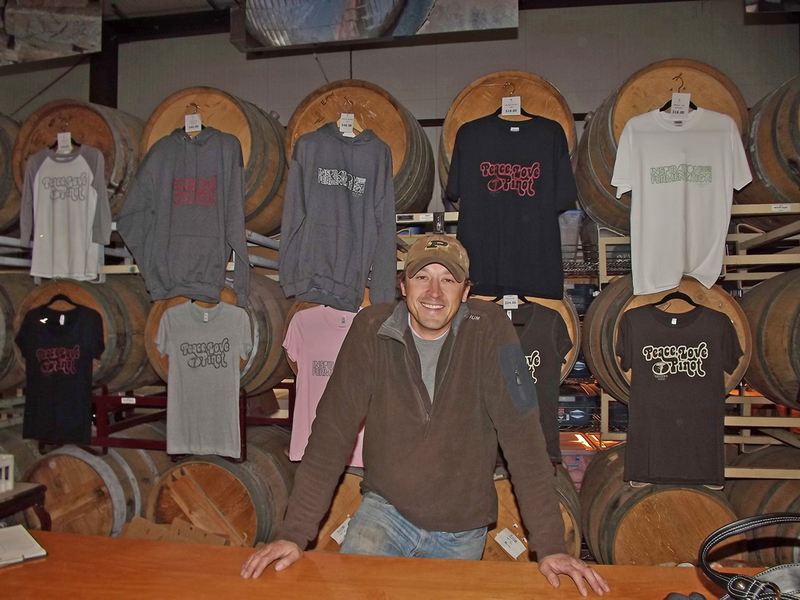 It’s not far from Purdue University, where he met current winemaker Josh Bartels. 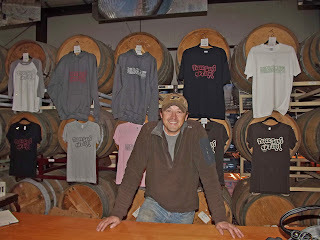 Josh told us all about the start of Kokomo in 2004 in partnership with long time Sonoma grower Randy Peters. He joined them in 2006 and together they’ve been producing everything from Sauvignon Blanc (the 2010 is a winner full of tropical fruit) to Sangiovese (a great take on this fruity Italian grape in the ‘07). Also of note here is the 2008 Cuvee 4791, a Bordeaux and Rhone blend full of dark fruit and cinnamon spice. 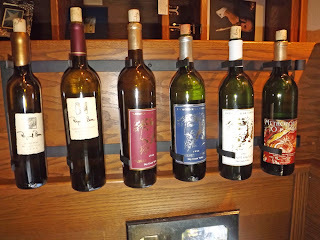 Tracy and I were full from lunch and hit the road to visit the Raymond Burr Vineyards. 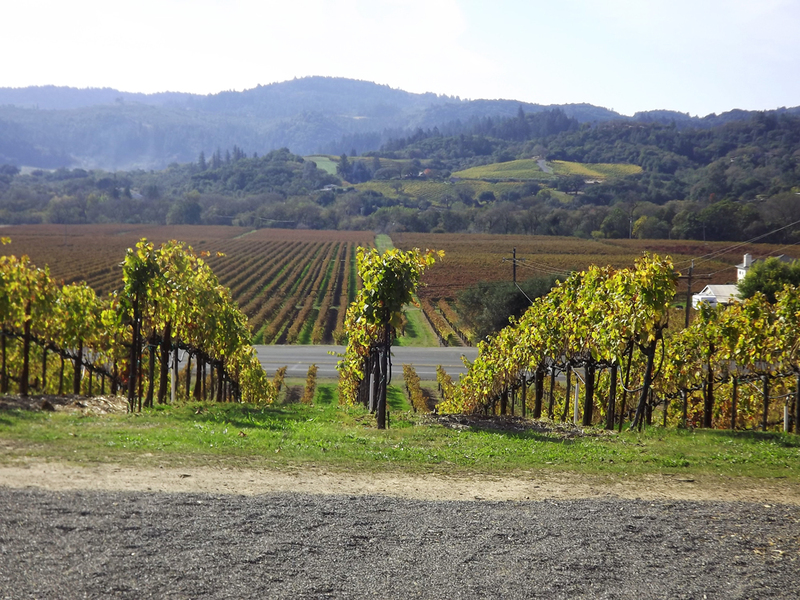 The Emmy winning star of Perry Mason started this winery in 1986 with his partner, Robert Benevides, who still runs it. The tasting room is filled with memorabilia from Burr’s television career and the grounds are beautiful. 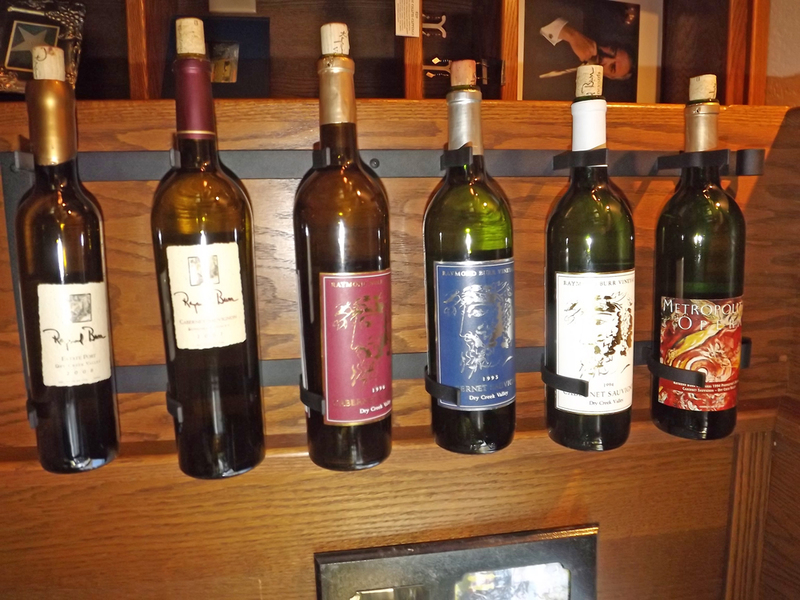 They only make a few wines here – Chardonnay, Cabernet Franc, Cabernet Sauvignon and an Estate Port. I favored the 2009 Chardonnay Barrel Select, which was a bit different than most, yet had a strong butter finish. 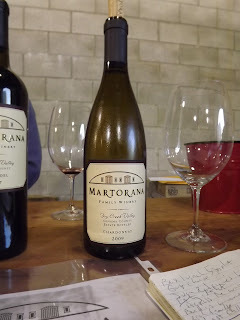 Our final winery of the day was Martorana Family Winery. We met with owner Gio Martoran, who is as passionate about organic farming practices as he is about his wine. I really enjoyed the wines, with a big shout out to the 2007 Merlot, bursting with red fruit, and the 2007 DCV Zinfandel, with a distinct light pepper to balance the berries. 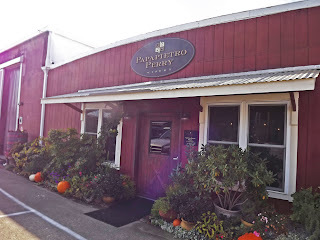 We headed back to downtown Healdsburg for dinner at Mateo’s Cocina Latina. This restaurant, opened by Chef Mateo Granados, has only been open a short while and has been receiving a lot of attention. The menu pays homage to Granados' Yucatan roots, both in the food and drinks. There’s a huge selection of tequilas and mezcals, as well as killer Margaritas (I had a tasty Kiwi Pomegranate). Tracy and I started off nibbling on the pumpkin seed crackers with olive oil guacamole, as well as the Trio de Calabazas Fritas, slow cooked caramelized squash mixed with raw milk feta. Both were fantastic, as was my Vegetarian Tamale, served in a tomato-habanero sauce. It had been a long day full of lots of great finds. In addition to the wine, I also discovered a new Sonoma trend – wine shirts. It seemed like every winery I went into had a collection of interesting sayings on shirts. I found them quite charming and had to take a few souvenirs: “Balanced & Complex” from Papietro and “Peace, Love & Pinot” from Kokomo. 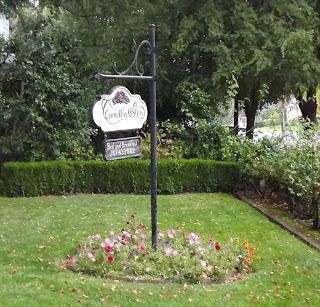 It wasn’t long before I drifted off to sleep at the Camellia Inn, getting ready for another day of wining and dining in Sonoma.